The European age of empires launched a process of capitalist globalisation that continues to the present day. It is also inextricably linked with the spread of revolutionary discourses, in terms of race, nation, or social class: the quest for emancipation, political independence, and economic equality. 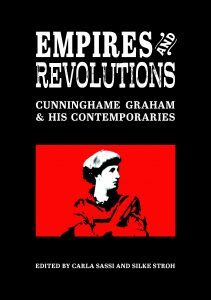 Robert Bontine Cunninghame Graham (1852–1936), in both his life and his oeuvre, most effectively represents the complex interaction between imperial and revolutionary discourses in this dramatic period. Throughout his life he was an outspoken critic of injustice and inequality, and his appreciation of the demands and customs of diverse territories and contrasting cultures were hallmarks of his life, his political ideas, and his writing. These essays explore the expression of these ideas in the works of Cunninghame Graham and of other Scottish writers of the period.